Tartu has a unique cultural life. The city is an ideal environment for people engaged with professional, folk and alternative culture. Tartu is home to interesting museums as well as theatres and concert halls with diverse repertoires. Interesting and exciting festivals take place all year round. Thanks to Tartu’s top athletes and major sports events, the city’s sports life is also well-known beyond Estonia’s national borders. 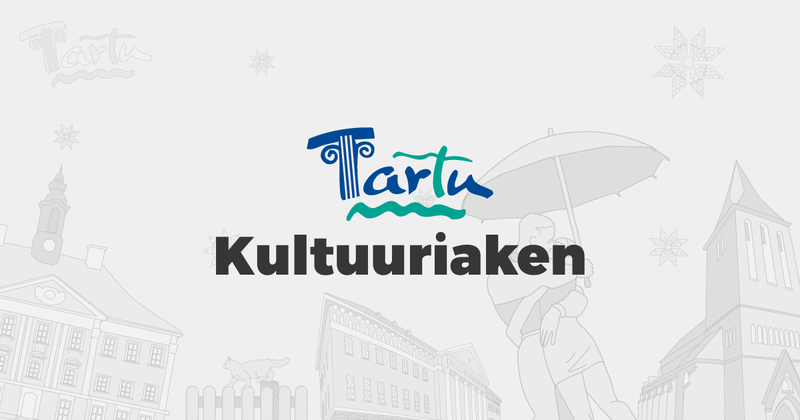 A database of cultural events called Tartu Kultuuriaken or Window of Culture is the best place to go to get an overview of cultural life in Tartu. Anyone interested can upload an event to the portal free of charge. Thanks to its active users, the portal is constantly updated with events and provides visitors with the most relevant information about cultural activities in the city. 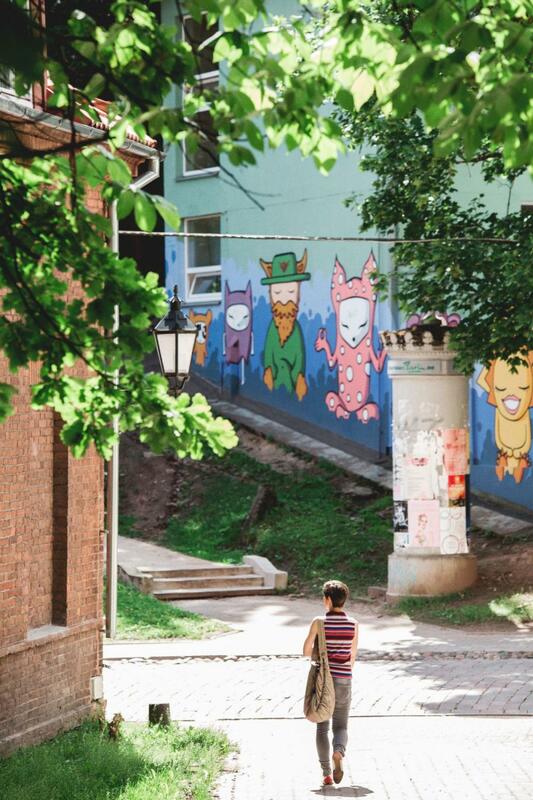 In order to organise a public event in Tartu, you must first register it with the Department of Culture of Tartu City Government (Raekoja plats 12, 2nd floor, telephone +372 736 1355) pursuant to the requirements for organising and holding public events. You must make sure that no other events are registered to take place at the same time in the same place. We recommend that you contact the Department of Culture early on and reserve a time and a place for your event. You must also prepare a notice on the registration of an event. We recommend that you use the pre-filled form for public event notices. Please note: You must save the file on your computer before completing it. The electronically signed public event notice, including any required additional documentation (inventory layout, traffic schemes and safety plans, where necessary) must be submitted to the Department of Culture by e-mailing lennart.puksa@raad.tartu.ee. The notice must be submitted at least 10 working days (but no more than six months) before the planned event. the number of participants is expected to be 500 or more. The coordination procedure will establish whether the chief specialist from the Department of Culture can issue a permit for the event. In receiving a permit you are given the approval of the City Government. 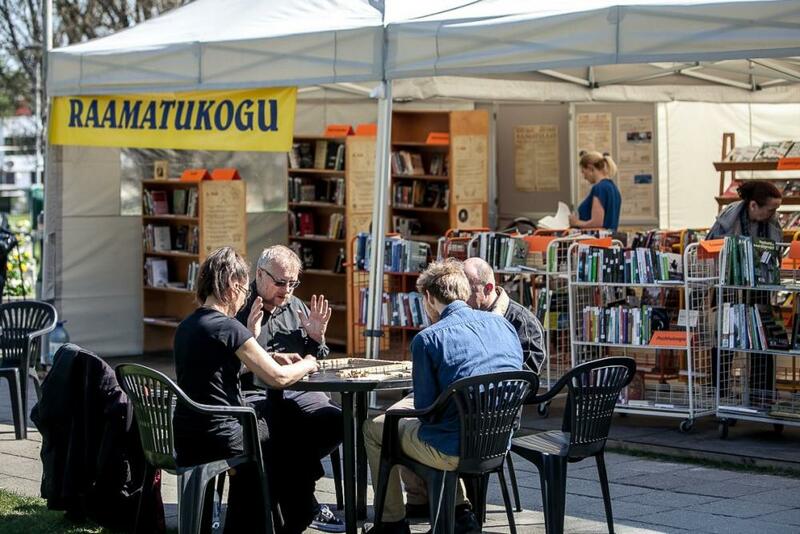 After that, you can advertise your event, add it to the portal Kultuuriaken and carry on organising a great event! A public meeting is defined as a meeting, demonstration, mass meeting, picket, religious event, procession or other demonstration to be held in open air in public park, on town square, at road, street or in other public place. The Public Meeting Act is extended only to those meetings that are held in public places in an open air. The public meeting is not a gathering that is effected in internal rooms or which is held in an open air, but access to which is not free (for example, a meeting held in a yard of a living house where only the dwellers are allowed). Events (for example, fairs of commercial purpose, etc) or sports events (see the Sports Act) are not public meetings. in order to hold the meeting there are plans to use sound or lighting devices. Notices on public meetings must be e-mailed to louna@politsei.ee. If a public meeting is organised just hours before it is due to take place, you must call 110 and inform the authorities. For more information on the registration process of public meetings, go to the Police website. Ads can be displayed free of charge on PVC banners above Küüni Street (size: 6x1 m). Bookings for these banners can be made once a year, usually from around mid-November to the end of December. 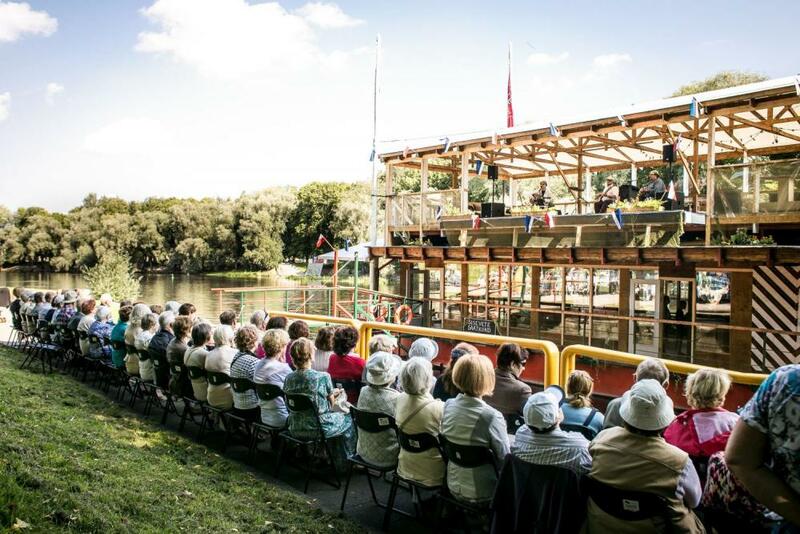 Particular details as to when the booking period starts will be shared with organisers of cultural events in a timely manner on Tartu’s website, in the Kultuuriaken portal and via other media channels. Installing and taking down the banners is the responsibility of the person booking the space. Banners above Rüütli Street are subject to a fee, whereas banners above Küüni Street are free of charge. 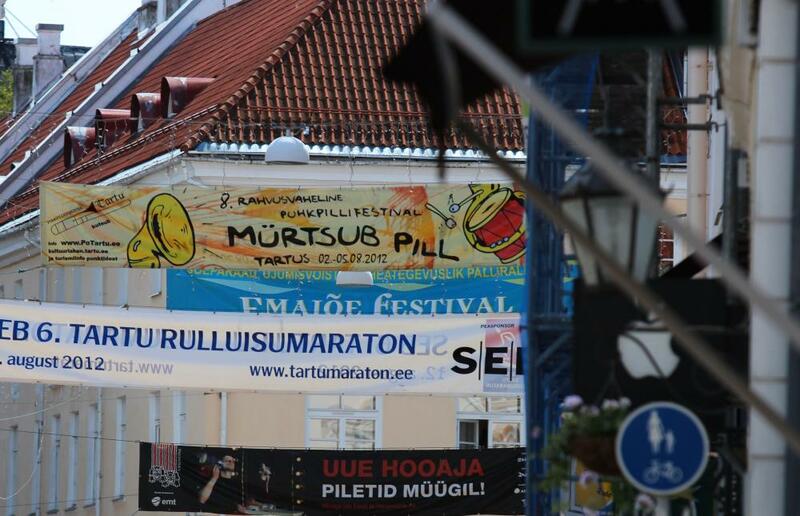 There are nine concrete columns available in Tartu for advertising cultural events. They are managed by OÜ Tartu Reklaamteenused. at the intersection of Narva Highway and Puiestee Street. Tartu Reklaamteenused OÜ is also the contractor responsible for managing the Kultuurilaev or Culture Ship sculpture, which is located on Küüni Street next to the Tartu Kaubamaja department store. A fee is charged for the installation of any other advertisements according to the operator’s price list. Posters are put up by Tartu Reklaamteenused OÜ. Unauthorised installation of advertisements on such surfaces is not permitted and any such advertisements will be removed.